Mathew E. Hoffman is a litigator with over 30 years of experience handling complex commercial litigations, mediations, and arbitrations. He practices at both the trial and appellate level in the federal and state courts. Mat’s practice includes securities litigations and SEC investigations, FINRA and AAA arbitrations, breach of contract matters, discrimination claims, products liability, takeover litigation, estate and real estate litigation, employee breach of duty and trade secrets claims, as well as a specialty in fine arts litigation. Mat has represented clients as varied as the National Basketball Association, La-Z-Boy, Hansel N Gretel Meats, the American Society of Travel Agents, Art Finance Partners and Kaufman Brothers. In one widely reported matter, Mat recovered in excess of $18 million for a former general counsel of a publicly listed company. 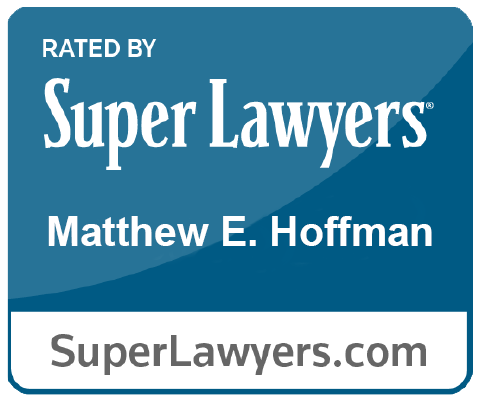 While Mat can and does represent clients in hard fought litigations, he takes particular pride in the fact that clients look to him to find sound business solutions and resolutions to their disputes. He credits his years of service on the board of directors of a public corporation with sensitizing him to the practical decisions that clients face in litigation. Mat has been a member of the Commercial Litigation and Law and Children Committees of the New York State Bar Association. He has spoken for the Bar on Enforcement of Judgments and for various groups on products liability issues. His cases have been featured on the front page of The New York Law Journal, in the New York Times and on ABC News, and Mat’s published works have been reprinted internationally. Before joining Barton, Mat was the head of litigation department at Todtman, Nachamie, Spizz and Johns, PC. Quoted in “Financial Troubles of Broker/Consultant Create Avalanche of Legal Action.” Maine Antique Digest. (July 13, 2015). “Standards in the Antitrust Arena: Standards the Victor.” Standardization News. (February 1988). “Use of Standards in Products Liability Litigation.” Drake Law Review. Vol. 30, No. 2. (1981). “The Consumer Product Safety Commission: In Search of Regulatory Pattern,” Columbia Journal of Law and Social Problems. Vol. 12, No. 3. (1976).